What can I say? I really like Vuzix® Corporation. They are a leading supplier of smart-glasses, augmented reality (AR) and virtual reality (VR) technologies and products for both the consumer and enterprise markets. I was so fortunate to experience their latest— the new Blade 3000 Smart Glasses at CES 2017. Seems like Vuzix is ALWAYS winning… And why wouldn’t they? Their products are breathtaking. I’ve tried on many smart glasses the last few years, but I always seem to come home to Vuzix. Something about them… the way their smart glasses feel, their simplicity and of course, their power. 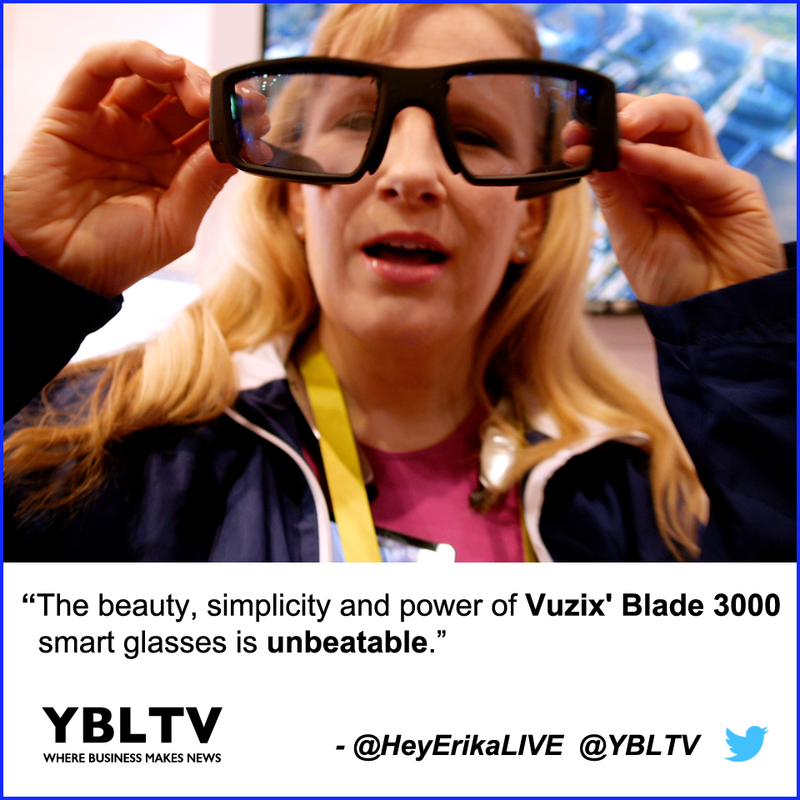 The Beauty, Simplicity and Power of Vuzix’ Blade 3000 Smart Glasses is Unbeatable. Vuzix Corporation, Mike Hallett, Director of Consumer Sales, North America with YBLTV Anchor, Erika Blackwell at CES 2017. YBLTV Anchor, Erika Blackwell with YBLTV Writer / Reviewers, Jack X, Justin Jett and Scott Pesqueira, Multimedia Producer / Director of Photography at CES 2017. What else do we love? …Advanced waveguide optics. How ’bout augmented realty, HD photography and HD video recording? Check! 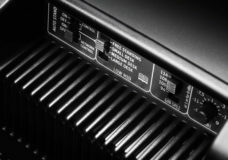 Supports both wireless Wi-Fi and Bluetooth interfaces, we’re FINALLY looking at a hands-free truly digital world! Ain’t that a BEAUTY! I’m psyched to see how it will track your health level fitness with external BT sensors… Talk about being able to have real-time data not at your fingertips but… your eyes. Vuzix is a leading supplier of Smart-Glasses, Augmented Reality (AR) and Virtual Reality (VR) technologies and products for the consumer and enterprise markets. The Company’s products include personal display and wearable computing devices that offer users a portable high quality viewing experience, provide solutions for mobility, wearable displays and virtual and augmented reality. Vuzix holds 49 patents and 43 additional patents pending and numerous IP licenses in the Video Eyewear field. 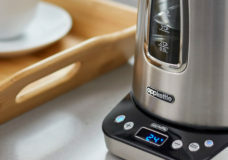 The Company has won Consumer Electronics Show (or CES) awards for innovation for the years 2005 to 2016 and several wireless technology innovation awards among others. Founded in 1997, Vuzix is a public company (NASDAQ: VUZI) with offices in Rochester, NY; Oxford, UK; and Tokyo, Japan.